kromekat.com » ‘New Eden’ appears in The Times newspaper today! The Times newspaper published an article on the possibility of humans living in space, aboard a ‘living spaceship’ as they called it. They contacted me to use my New Eden image, since this depicts such an environment. 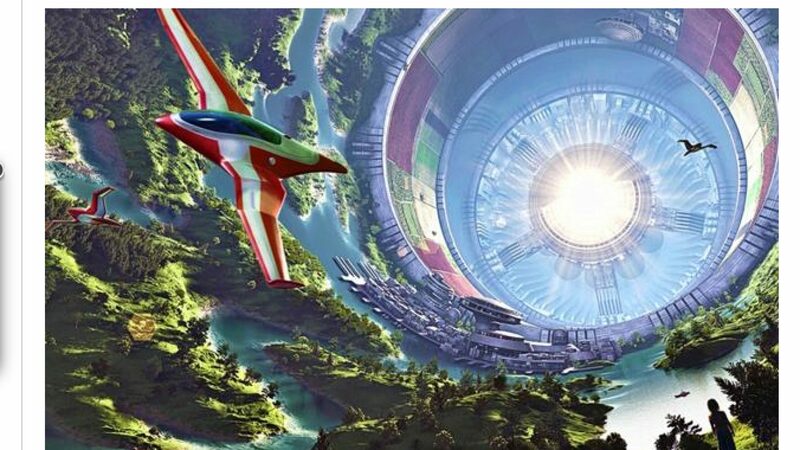 This concept is neither new to science fact or fiction, since NASA discussed this idea back in the 1970’s, and sci-fi authors such as Arthur C. Clarke, Ben Bova, Greg Bear have each created their own written visions on how this type of gigantic structure might look. My image was inspired by their combined thoughts, so it’s nice to have the image recognised, and used to represent the story.